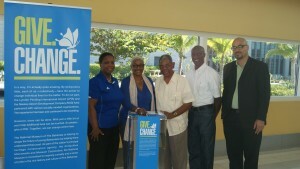 Airport initiative encourages the travelling public to give change for good. 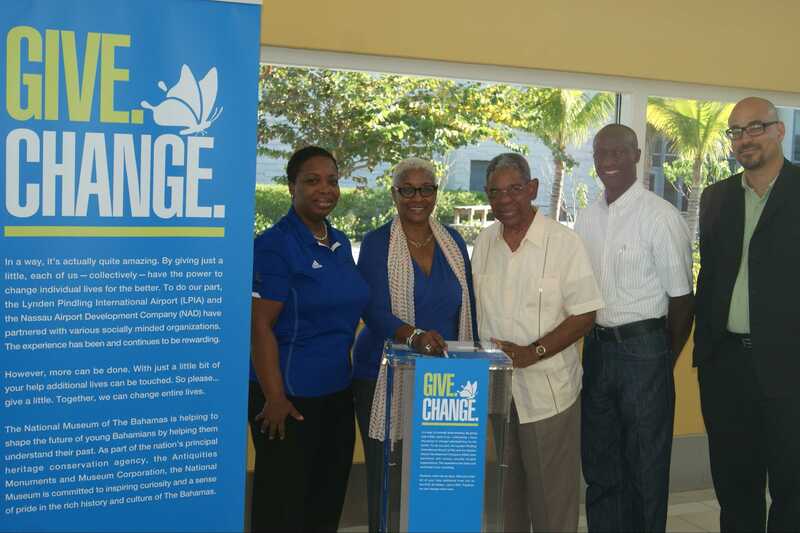 Drop box collections will benefit Bahamas Children’s Emergency Hostel and the National Museum. Photo: l to r: Jan Knowles, Vice President of Marketing & Communications, NAD, Deborah Coleby, Director of Terminal Operations, NAD, Arthur Peet, Chairman, Children’s Emergency Hostel, Samuel Clarke, Fundraising Chair, Children’s Emergency Hostel and Dr. Michael Pateman, Senior Archeologist, Antiquities, Monuments and Museum Corporation.